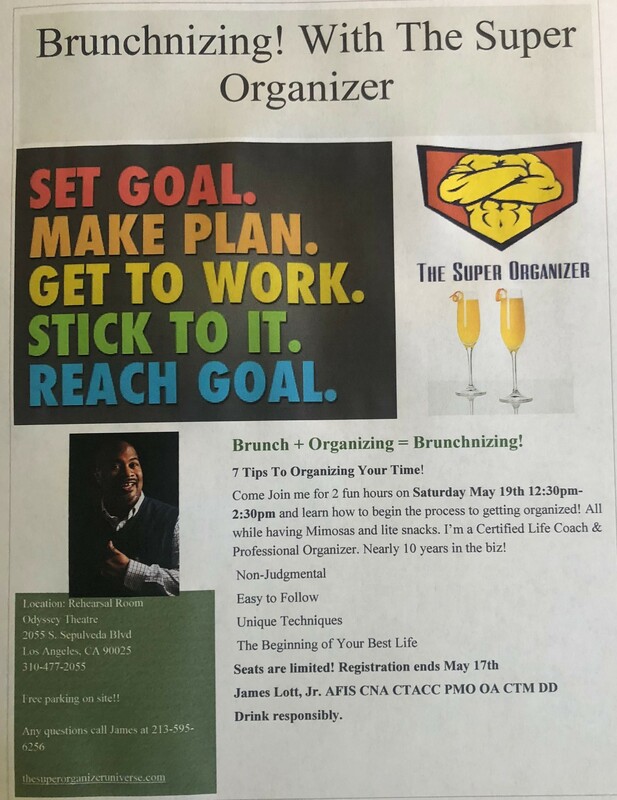 Workshops from the Super Organizer for June and July! Sign Up! 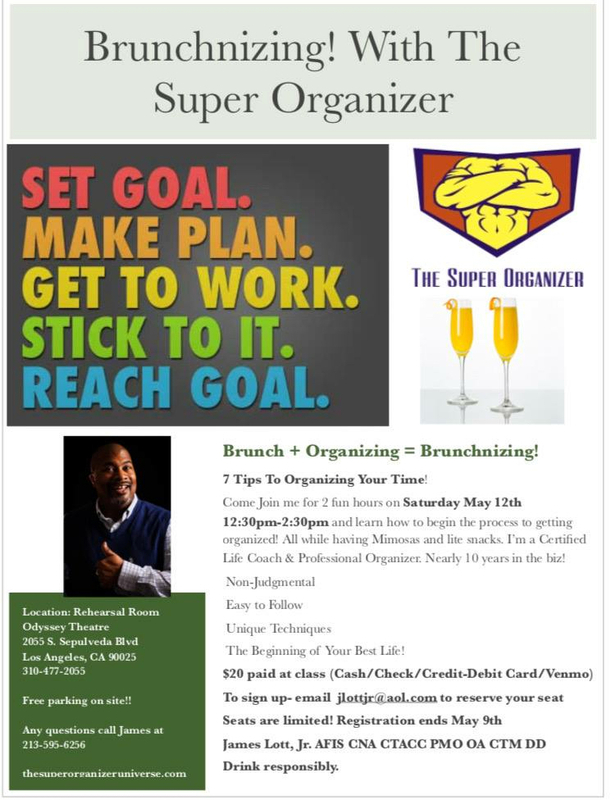 And sparkling cider for those who don’t drink..
Super Share- The Super Organizer’s Workshop April 28th! Still a couple of weeks left to sign up! 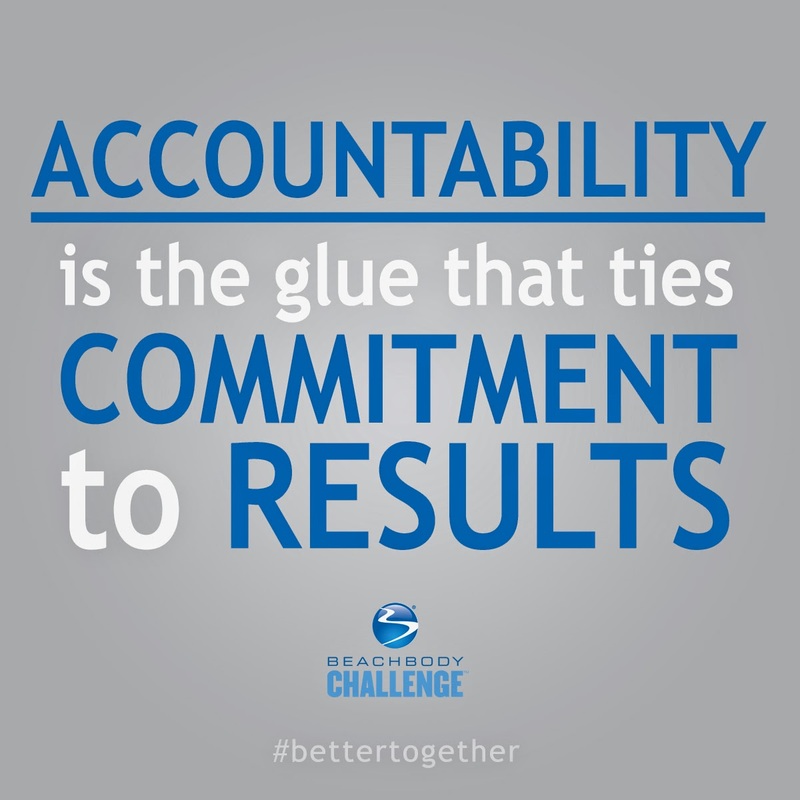 We will talk about getting started! 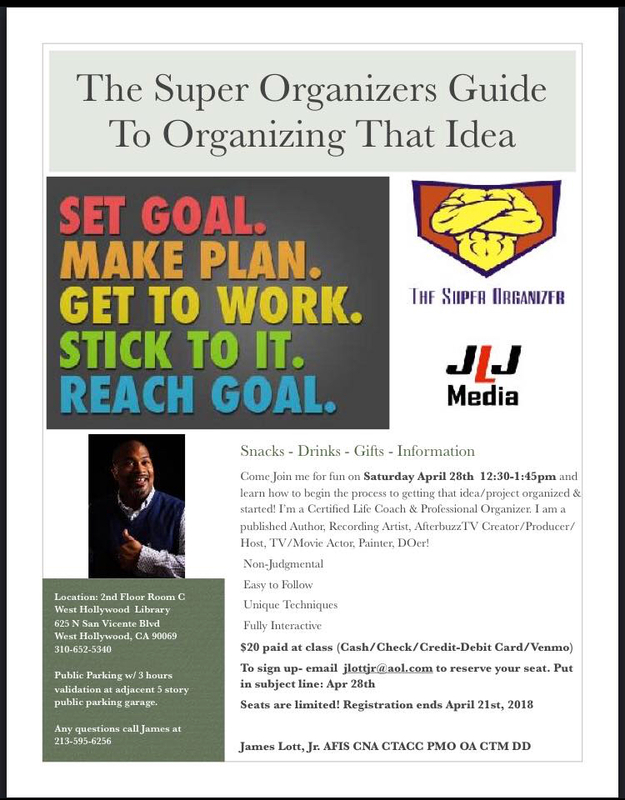 How to get organized!! Home, office, idea, life! The location has changed to The Odyssey Theatre and there is FREE parking!